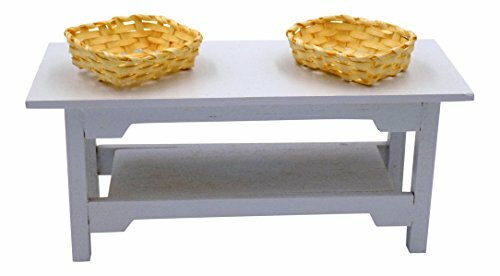 LIFE-LIKE WHITE TIMELESS MINATURES TABLE WITH 2 BASKETS: The dimensions on this small size wood table are: 4-1/2 inches W x 1-3/4″ inches x 2″ inch. Cute baskets are handy for little food items, fruit and veggies. Table looks great in a kitchen, breakfast nook, or dining room with other tiny furniture, such as chairs. 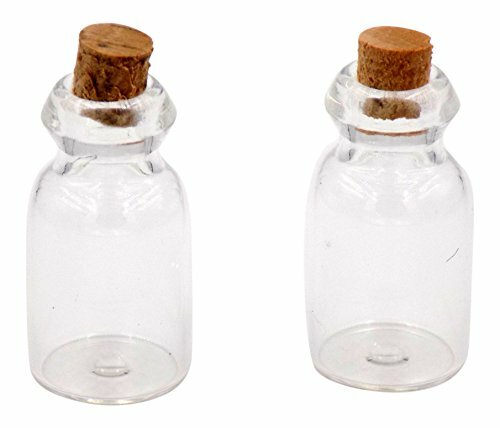 GLASS BOTTLE SET: 2 Piece 25 mm – Mini Spice Bottles with Cork Plugs – can be used as clear glass kitchen canisters and may be filled with flour, sugar, spices, etc. 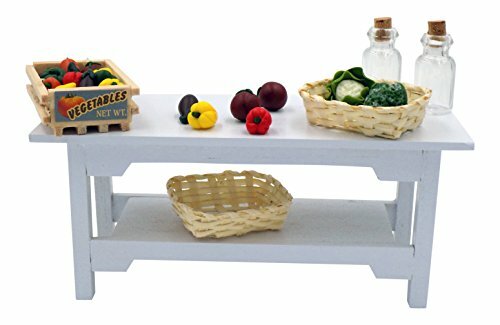 Food Miniatures look real on the side table or kitchen counter of any dollhouse!Breath some life into your dollhouse. 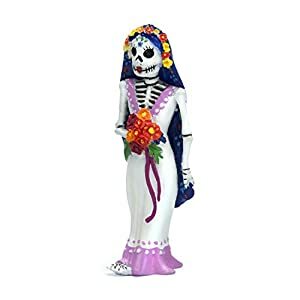 They can also be used for embellishing dioramas, craft projects, school projects or display. Amazing detail! 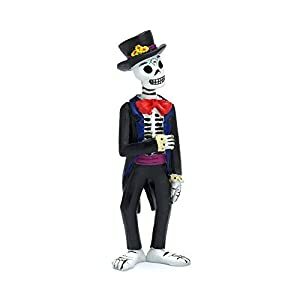 These are not just toys, they're art! 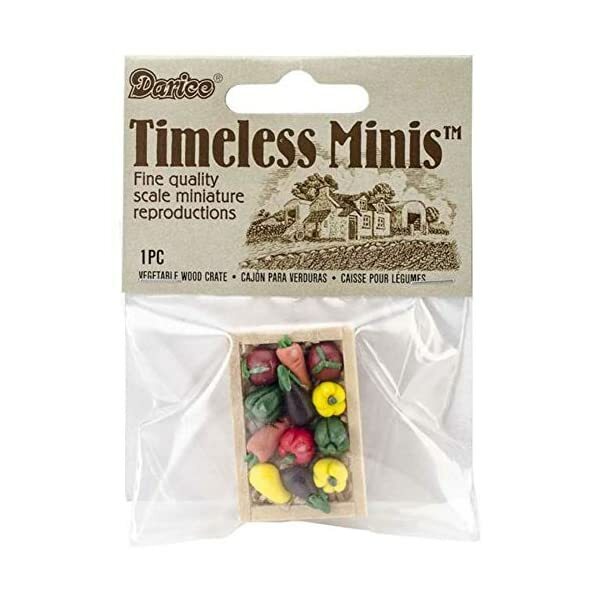 Darice – Timeless Minis – fine quality, scale miniature reproductions. Order this bundle today! 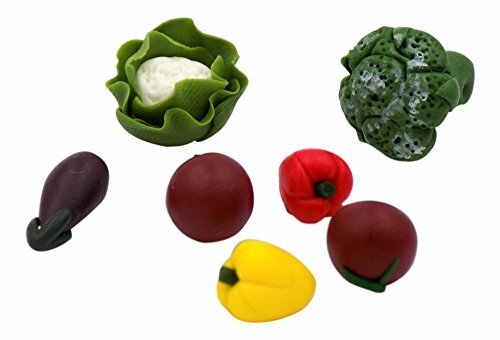 COLORFUL VEGETABLES: Real looking 7 piece pkg assorted plastic vegetable set – cauliflower (18 mm), 2 Tomatoes (8 mm), Eggplant (13 mm), broccoli (15 mm), red pepper (9 mm), and yellow pepper (8mm) – fresh from the garden or grocery store. This small, collectible set is the perfect size for any kitchen table or counter, giving your doll house a realistic touch! 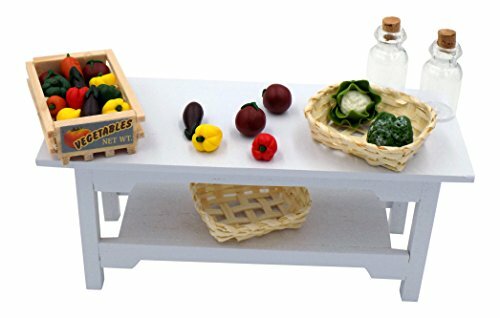 VEGETABLE WOOD CRATE: 1.5 inch kit – veggies mini dollhouse accessories look real and do not come out of the crate. DELICIOUS DETAILED FOOD: A beautiful assortment of plastic accessories+food tinies for any doll house décor. 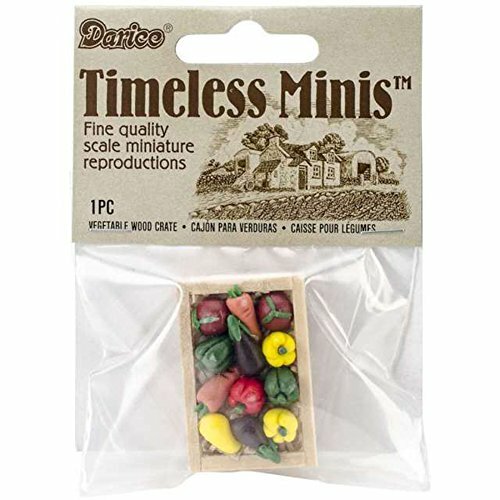 Real looking supplies are made by Darice – Timeless Minis – timeless miniatures toys, superior quality, scale miniature reproductions. 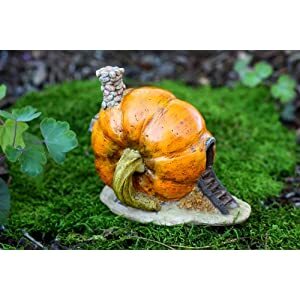 Great addition to any dollhouse; fairy garden; school project; shadow box; craft projects; diorama; or display. 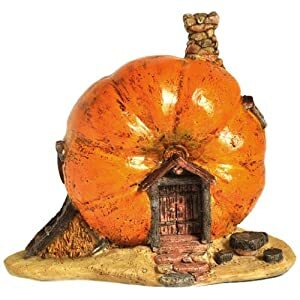 Order these food miniatures today!